I bought a different dress for my brother in law’s wedding! I should never have bought a dress for a summer wedding in the autumn! In that post I mentioned that it would likely be in September but it’s actually in July! My autumn coloured dress was starting to seem a lot less suitable. 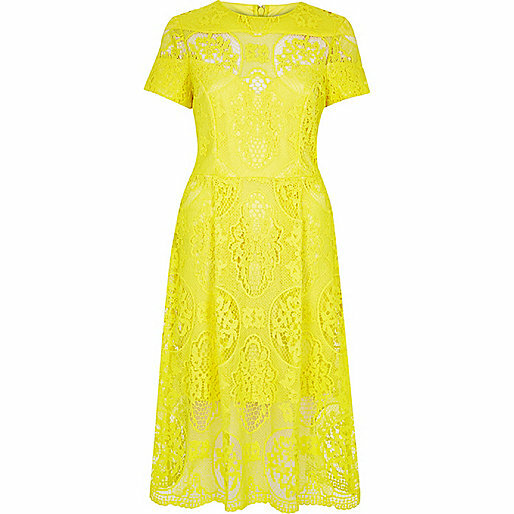 I love the vibrancy of this dress as the yellow definitely suits a summer wedding. I’m planning on pairing this with blue strappy wedges and a blue clutch. I picked blue because that’s the colour of my glasses! I’ve loved the glasses that I bought recently and they’re much larger than the small frames I usually get and have a lot more personality. Normally I wouldn’t wear my glasses to a special event but I love these so much that I’m gonna go for it anyway! I’m planing on doing a get ready with me video for this look so I’ll be sure to do a post when it’s live! Previous Post I went to New York City! Next Post Sleek Eye Shadow Palettes!